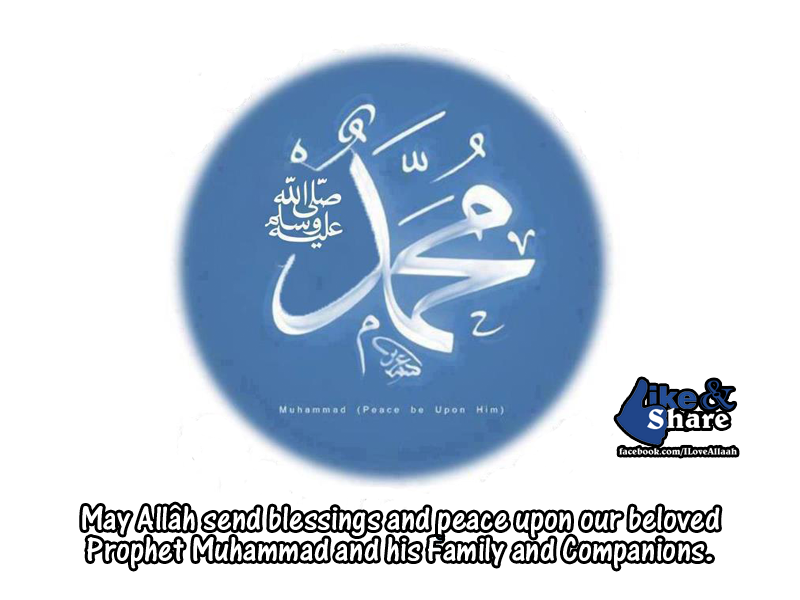 Our Prophet (pbuh) is the greatest blessing we have ever had. He is a mercy to all mankind. Prophet Muhammad (pbuh) had the most magnificent character any being can or will ever have till the end of time. When we read or hear story`s about his seerah (biography) I just fall down in humbleness for what kind of values he represented. This is the person to admire the most. This is the person one should try the most to follow and mimic from the core of our hearts. If we manage to achieve his blessings, nothing in this world would be difficult for us, in sha Allah. Our Prophet (pbuh) is the person that had the most genuine care and compassion for every human being. He treated everyone with the out most respect and honour that every person that knew him thought he loved them the most. One time one sahabi wanted to hear the Prophet (pbuh) say from his lips that he loved that sahabi the most, because that`s what he thought from the way he treated him. So he asked the Prophet about it, and he would say Aisha raa or Abu Bakr Siddiq raa. The sahabi was astonished because he had always thought that since Prophet Muhammad was so nice to him that he was the one he loved the most. Our Prophet (pbuh) managed to control his anger at all times. And taught the sahaba the strong person is not the one that can beat another person, but rather the one that controls ones anger while angry. He gifted his clothes to the graves of his enemies who had killed people in his family, when they died so that the fire wouldn`t touch them. SubhanAllah, would you have done that today if you knew someone you dislike would be saved from the Torment of the Fire? I guess most of us would rather seek revenge, then try to forgive. Think for one second if you try to overlook the faults of others, Allah will overlook your faults on the Judgement Day. At home he washed and mended his own clothes and helped around the house and didn`t see the household chores as degrading to do for men. He never became angry to any of his servants and helped them around the house. Aisha Raa said that the Prophet Muhammad’s character was the Quran. SubhanAllah! We today tend to feel that things that Islam say is difficult to adopt, but our Prophet lived his life according to every ayah in the Quran. SubhanAllah! In another hadith it is told about the how other non-muslims treated him and how he treated them back. For example, we all have heard about the woman with the garbage, throwing garbage at the Prophet (pbuh) when he passed her house in the streets. She used to do this often. One time when she didn`t come our Prophet went to her house to see how she was doing because he got worried. Is she alright? From this gesture of his that woman became a muslim. He didn`t treat people differently because they had more money or anything. I remember the story about when he heard that Hadrat Bilal raa was so tired because of all the workload he had as a slave. Our Prophet came home to him and helped him with the household and made Bilal raa relax. Who is it that today would go home to someone and do their work. Often we have so much to do ourselves that we don`t even find enough time to do that. But our Prophet found time and showed us the path to walk. SubhanAllah. One time when he heard Khadijah raa sister long time afther her death, he for a moment, was reminded of her. When Aisha raa saw this she got jealous and said why he thought of that woman when she has so many wifes now that are much younger and more beautiful than she was. He rebuked her and said that no wife of hers would ever be like Khadijah raa. He said, she believed in me when everyone else was against me, she supported him and is the only wife that gave birth to his children. So she had a very special place in his heart. SubhanAllah! He never had another wife while she was alive. Nowadays men always talk about having four wifes without even fulfilling all the obligations that one wife has. Our Prophet (pbuh) also treated his daughters in the most nice way. When his daughter Fatima raa came to visit him, he would kiss her hand and give her his own seat to sit with him. Also he told Fatima raa that even if she was of the noblest descent if she didn`t do any good deeds her descent won`t give her Jannah, only her good deeds would. If your good deeds hold you back your noble descent won`t make you better in Allah`s eyes. The character of our Prophet is the best role-model for us and all the generations that will follow till the end of time. We should try to learn more and apply every single bit of it in our conduct, so that we can prosper and live a fulfilling life. This is the person I admire the most and love so much ❤ May Allah accept all of our good deeds, keep us steadfast on the deen, give us more knowledge about the seerah so that we could apply it into our lives, and give us Jannat-ul-Firaws in the end. May Allah let us be of help to our Ummah. Ameen summa ameen.